Enjoy the popular modern look in your bathroom with this beautiful vanity. The good-looking brown quartz counter and brown solid wood base make a big difference in your bathroom. Its single-door cabinet and drawers have lots of room to keep all of your bathroom items. This set from Art Bathe is great for anyone looking for great style and function in their bathroom. Breathtaking design meets unrivaled craftsmanship in the KOHLER Tailored vanity collection. No detail was overlooked in the meticulous crafting of this collection, from the premium hardwoods to the specially designed hardware and vanity tops, all available in an array of finishes to create your own look. This Damask vanity reflects the rich details found in colonial American architecture. Complete your vanity with a coordinating top, hardware, and accessories from the collection. 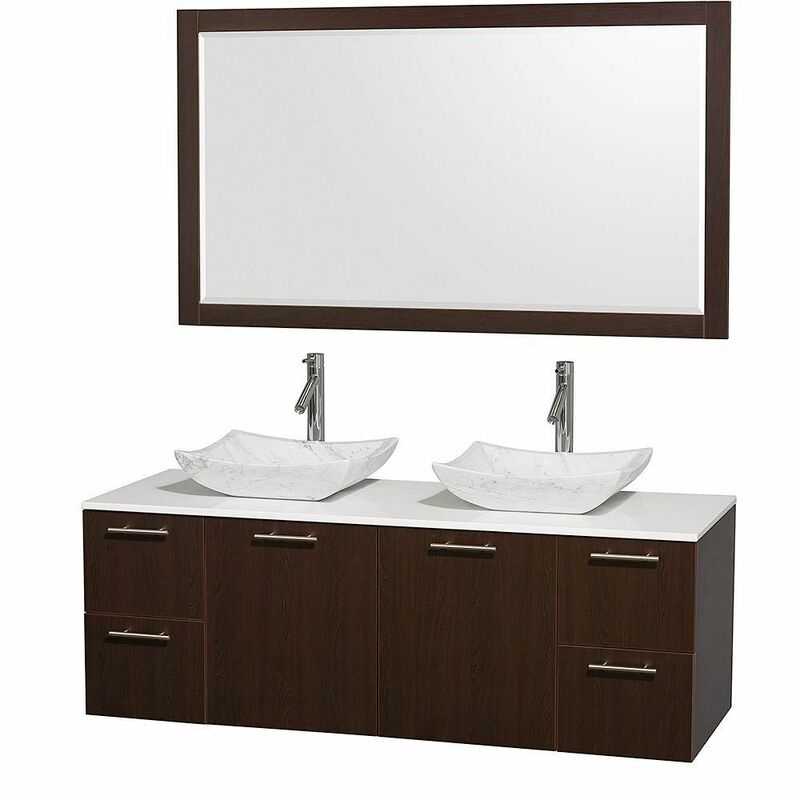 Amare 60-inch W 4-Drawer 2-Door Vanity in Brown With Artificial Stone Top in White, Double Basins Bring a fresh, modern look into your bathroom with this vanity. The white artificial stone counter and brown fiberboard base make this piece great for any bathroom. With a double-door cabinet and drawers, this vanity can hold all kinds of bathroom items. Make your bathroom look like new with this good-looking, useful set from Wyndham Collection.